The purpose of this article is to demonstrate how we can upgrade Python from version 2.7.6 to Python 2.7.10 on the Linux Mint operating system. 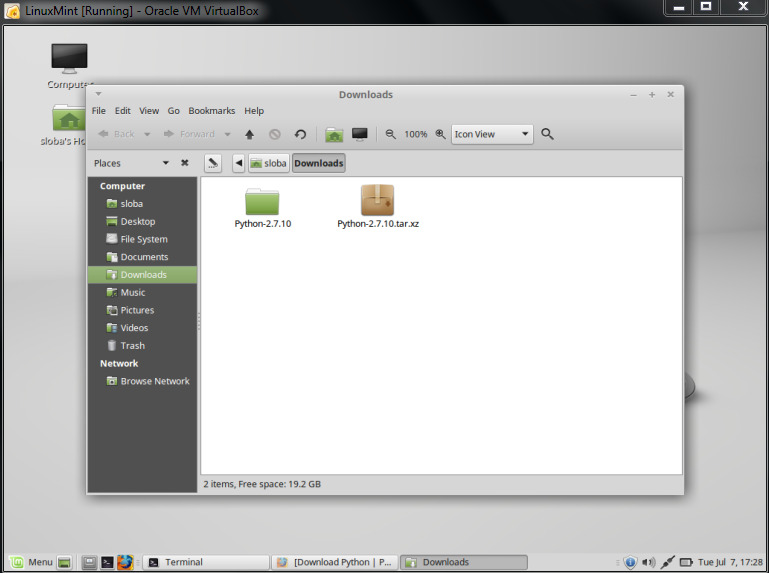 I am using an Oracle Virtual Box where I have installed Linux Mint operating system version 17.2. 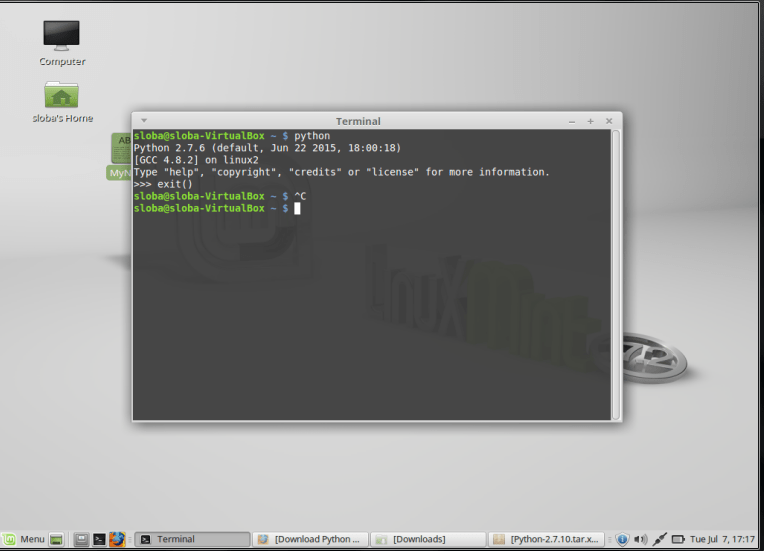 Once you download and install Linux Mint 17.2, Python software is installed by default. But the latest releases from Python are Python 2.7.10 and Python 3.4.3. I am using a 32 bit operating system as my host is 32 bit but you can still go ahead with 64 bit version which is preferred.Log into the Mint operating system, and open terminal. Type “python” and hit enter or you can type “python –version” to check the existing version. To download the latest version of Python, open https://www.python.org/downloads/ and click on “Download Python-2.7.10” as shown in below image. Open the folder where the file is downloaded. 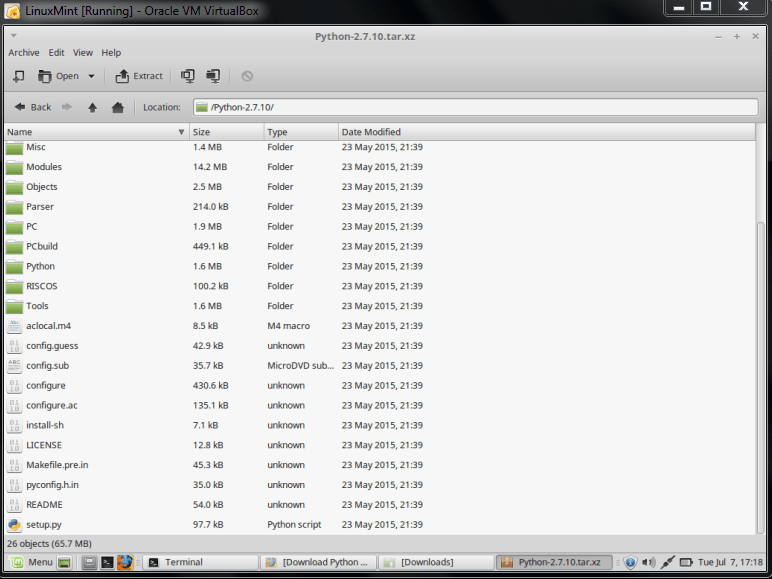 In my system it’s defaulted to “Downloads” folder. Now execute “./configure” on the same path to configure. Wait until it is completed. The execution should be completed without any errors. Once the script is executed then type “make install” to proceed further. If you get any errors then use the root user to execute as like above. This will take some time to complete. Wait till this get completed. 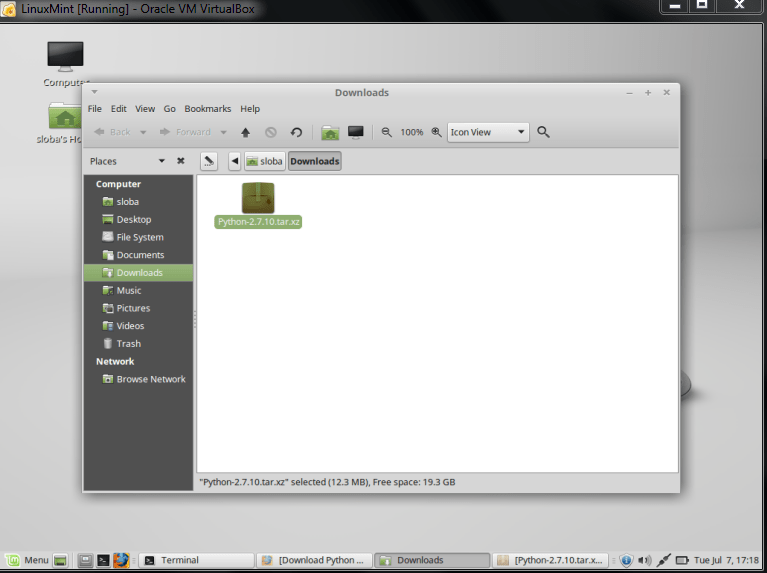 Now the installation is completed. Now let’s check the Python verison to see if the latest version is installed or not by typing “python” or “python –version” as shown in below image. 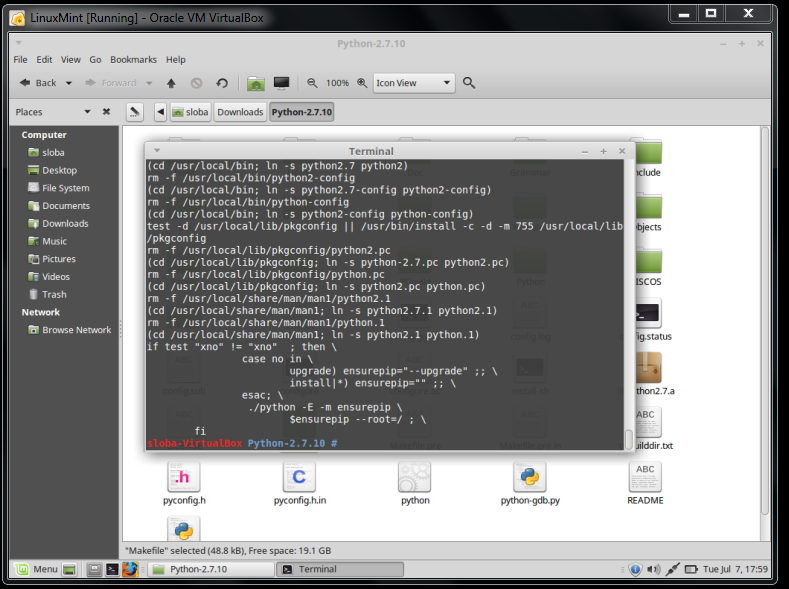 Python-2.7.10 is successfully installed on Linux Mint OS and ready to use. Reference taken from one of my article that was published on experts-exchange. 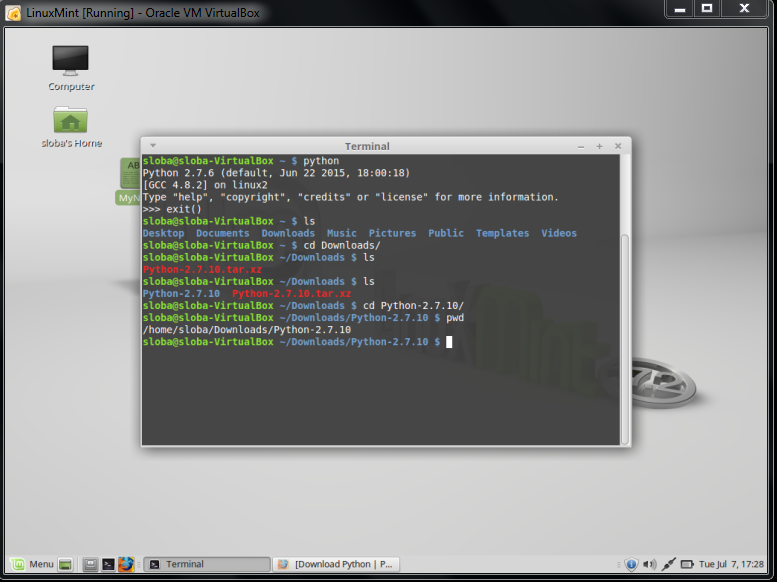 This entry was posted in Linux, Python Programming and tagged Upgrade Python 2.7.6 to Python-2.7.10. Bookmark the permalink. I did the upgrade as shown, but i have problem. When I trying import module which was installed with “pip” python says that theres no module. Thanks for your comment Michael, but it purely depends on the requirement. 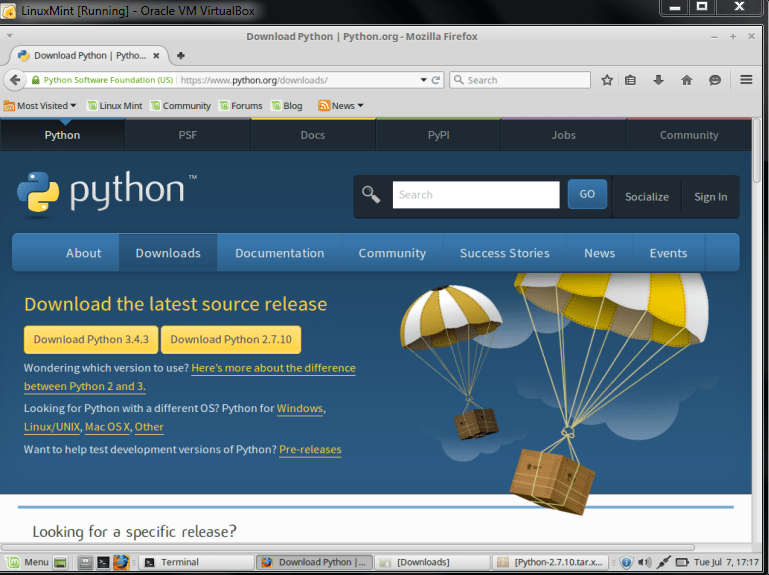 The blog was just to show the method of upgrading the python version.